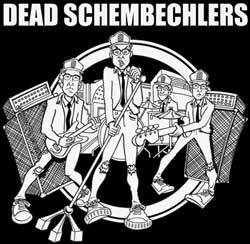 Dead Schembechlers use CORE REVOLT to handle atheir merchandise. Click the item below to be taken to their site where they will quickly and professionally get your order right out to you! No more waiting for the band to mail it from a garage! Signed by the whole band!!! Get HERE. 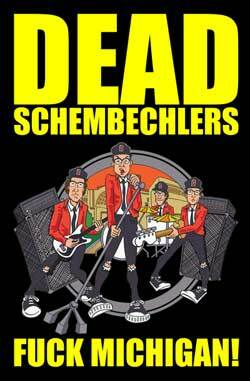 The legendary Dead Schembechlers star in their first-ever coloring book adventure "Scarlet Submarine." It's a psychedelic trip up the Olentangy that tells the story of a pigskin paradise called Buckeyeland overrun by the evil Maize and Blue Weenies. 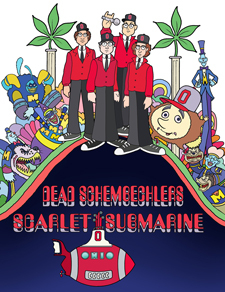 The band is called upon to travel in the Scarlet Submarine and defeat the Weenies and their leader Coach Hairball. Twenty eight pages of Wolverine-hating fun for all ages! 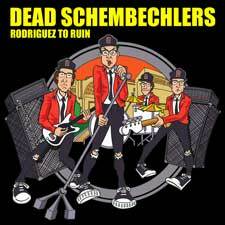 Written by Bo Biafra with incredible art from Alan MacBain. It's G-rated fun for Bucks fans of all ages! Wear your O-H-I-O love!!! Get HERE.